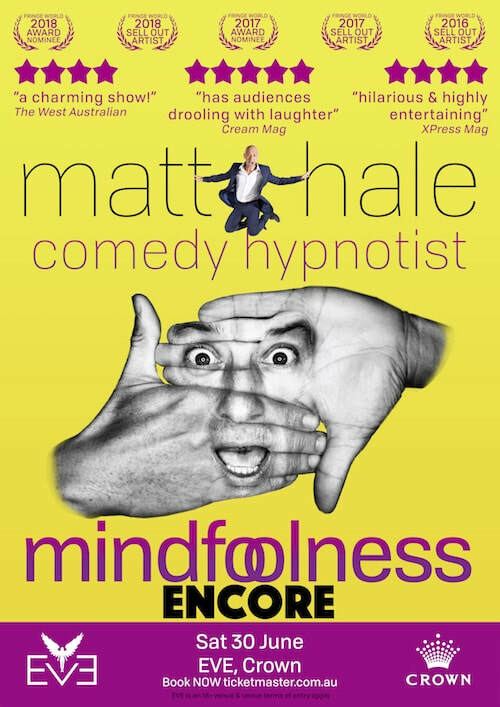 ​The award nominated sellout hit of FRINGE WORLD 2018 returns for a highly anticipated extended length encore with all the fun of MINDFOOLNESS plus bonus LOL routines and feelgood suggestions in this extended length performance. If you came to the Mindfoolness 2018 Fringe season and wanted to bring your friends, or if you planned to come but missed out due to so many sell outs - this is your chance! Very limited tickets. Bookings Essential.